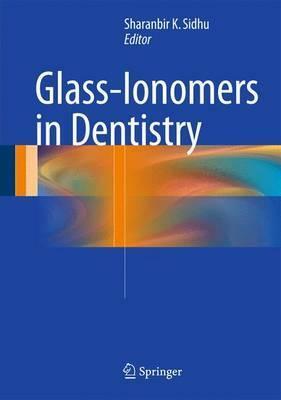 This concise handbook covers all aspects of glass-ionomer cements, from the development of these materials in the early 1970s through to the current state of the art. Their physical, chemical, biological, and clinical properties are described as well as how their formulation and usage have evolved over time, giving rise to newer subcategories of the parent materials. Detailed coverage is provided on the clinical use of glass-ionomer cements in restorative and pediatric dentistry and in widely taught and practiced newer approaches, including atraumatic restorative treatment and minimal intervention dentistry. The authors are internationally acclaimed experts who present information in an easy-to-follow format that will appeal to readers. With the renewed worldwide quest for substitute materials for the more traditional amalgam, glass-ionomer cements have the potential for further development and may play a significant role in future trends. Illustrations note 16 Tables, color; XI, 151 p.
This concise handbook covers relevant and up-to-date knowledge of glass-ionomer cements, from the development of these materials in the early 1970s through to the current state of the art. Their physical, chemical, biological, and clinical properties are described as well as how their formulation and usage have evolved over time, giving rise to newer subcategories of the parent materials. Detailed coverage is provided on the clinical use of glass-ionomer cements in restorative and pediatric dentistry and in widely taught and practiced newer approaches, including atraumatic restorative treatment and minimal intervention dentistry. The authors are internationally acclaimed experts who present information in an easy-to-follow format that will appeal to readers. With the renewed worldwide quest for substitute materials for the more traditional amalgam, glass-ionomer cements have the potential for further development and may play a significant role in future trends. Background.- Material Details and Types of GICs.- Clinical Perfomance.- Role of GICs in Caries.- Role of GICs in Atraumatic Restorative Treatment and Minimal Intervention Dentistry.- Role of GICs in Paediatric Dentistry.- Uses in Contemporary Dentistry and Limitations.- The Future of Glass-Ionomers.